Owen Thomas "Ownie" Carroll, was a Major League Baseball pitcher who played nine seasons in the major leagues with the Detroit Tigers, New York Yankees (1930), Cincinnati Reds (1930–1932), and Brooklyn Dodgers (1933–1934). The Penn State Nittany Lions baseball team is the varsity intercollegiate athletic team of the Pennsylvania State University in University Park, Pennsylvania, United States. The team competes in the National Collegiate Athletic Association's Division I and are members of the Big Ten Conference. The Temple Owls baseball team was a varsity intercollegiate athletic team of Temple University in Philadelphia, Pennsylvania, United States, until the end of the 2014 season. On December 6, 2013, Temple announced that it would cut seven sports, including baseball, at the end of the 2013–14 academic year for financial reasons. The Southern Illinois Salukis baseball team represents Southern Illinois University in NCAA Division I college baseball. They are part of the Missouri Valley Conference. Twenty-four Saluki Baseball alumni have gone on to the Major Leagues. The Big East Conference was a collegiate athletics conference that consisted of as many as 16 universities in the eastern half of the United States from 1979 to 2013. The conference's members participated in 24 NCAA sports. The conference had a history of success at the national level in basketball throughout its history, while its shorter football program, created by inviting one college and four other "associate members" into the conference, resulted in two national championships. The Big East Conference Baseball Tournament is the conference championship tournament in baseball for the Big East Conference. It is a double-elimination tournament and seeding is based on regular-season records. The winner receives the conference's automatic bid to the NCAA Division I Baseball Tournament. The Big East Tournament champion is separate from the conference champion. The conference championship is determined solely by regular-season record. Michael Thomas Moriarty is a retired Major League Baseball shortstop and second baseman. He played during one season at the major league level for the Baltimore Orioles. Matthew Christian Morris is a former Major League Baseball right-handed starting pitcher. He retired on April 30, 2008. Jason Michael Grilli is an American former professional baseball pitcher. He previously played in Major League Baseball (MLB) for the Florida Marlins, Chicago White Sox, Detroit Tigers, Colorado Rockies, Pittsburgh Pirates, Los Angeles Angels of Anaheim, Atlanta Braves, Toronto Blue Jays, and Texas Rangers. Taken as the fourth overall selection of the 1997 MLB draft by the San Francisco Giants, Grilli was one of the top starting pitcher prospects in all of Minor League Baseball, ranked 54th in 1998 and 44th in 1999. The Giants traded him to the Florida Marlins in 1999, for whom he debuted on May 11, 2000. The 2000 NCAA Division I Baseball Tournament was played at the end of the 2000 NCAA Division I baseball season to determine the national champion of college baseball. The tournament concluded with eight teams competing in the College World Series, a double-elimination tournament in its fifty fourth year. Sixteen regional competitions were held to determine the participants in the final event, with each winner advancing to a best of three series against another regional champion for the right to play in the College World Series. Each region was composed of four teams, resulting in 64 teams participating in the tournament at the conclusion of their regular season, and in some cases, after a conference tournament. The fifty-fourth tournament's champion was LSU, coached by Skip Bertman. The Most Outstanding Player was Trey Hodges of LSU. The Wake Forest Demon Deacons baseball team represents Wake Forest University in NCAA Division I college baseball. The program competes in the Atlantic Coast Conference (ACC). They won the 1955 College World Series. They are coached by Tom Walter. 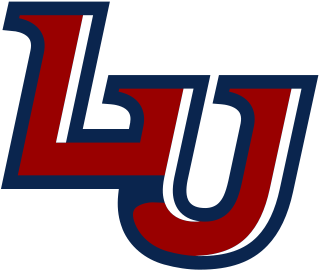 The Liberty Flames baseball team is a varsity intercollegiate athletic team of Liberty University in Lynchburg, Virginia, United States. The team is a member of the Atlantic Sun Conference, which is part of the National Collegiate Athletic Association's Division I. Liberty's first baseball team was fielded in 1974. The team plays its home games at Liberty Baseball Stadium in Lynchburg, Virginia. The Flames are coached by Scott Jackson. The team colors are red, white and blue. 1 2 3 4 This total includes the 2001 season, in which Sheppard's son coached the team while he recovered from heart surgery. Without the 2001 season, Sheppard's record is 964-517-10. The St. John's Red Storm is the nickname used for the 16 varsity athletic programs of St. John's University, in the U.S. state of New York. St. John's 16 NCAA Division I teams compete in the Big East Conference, with the exception of the fencing team, which compete in the ECAC. On December 15, 2012, St. John's and the other six Catholic, non-FBS schools announced that they were departing the former Big East for a new conference. The "Catholic 7", after purchasing the "Big East" name from the FBS schools and adding Butler, Creighton, and Xavier, began operating as the new Big East Conference beginning in July 2013. Fred Hill Sr. was the head baseball coach at Rutgers University in New Brunswick, New Jersey, where he served from 1984 through 2013. He earned 13 NCAA Baseball Tournament bids at the school. Hill was also a head baseball and football coach for the Montclair State University Red Hawks in Upper Montclair, New Jersey. He compiled an overall college baseball coaching record of 1,089–749–9. Ed Blankmeyer is an American college baseball coach, the head coach of St. John's since the start of the 1996 season. Before St. John's, Blankmeyer served as an assistant coach at his alma mater, Seton Hall. His head coaching record is 647–405–3, as of the end of the 2014 season. Under Blankmeyer, St. John's has won three Big East Regular Season Championships and three Big East Tournament Championships. They have appeared in eight NCAA Regionals and one NCAA Super Regional. The 2014 NCAA Division I baseball season, play of college baseball in the United States organized by the National Collegiate Athletic Association (NCAA) at the Division I level, began on February 14, 2014. The season progressed through the regular season, many conference tournaments and championship series, and concluded with the 2014 NCAA Division I Baseball Tournament and 2014 College World Series. The College World Series, consisting of the eight remaining teams in the NCAA Tournament and held annually in Omaha, Nebraska at TD Ameritrade Park Omaha, ended on June 25, 2014 with the final game of the best-of-three championship series between Vanderbilt and Virginia, won by Vanderbilt. James Duffy is an American college baseball coach and former first baseman. Duffy currently serves as an assistant coach for the Rutgers Scarlet Knights baseball program. He had served as head coach of the Manhattan Jaspers baseball team from 2012 through 2017. He was named to that position prior to the 2012 season. Charlie Hickey is an American college baseball coach. He has been the head coach of Central Connecticut since the 2000 season, leading the Blue Devils to four NCAA Tournaments. Previously, he was the head coach at Providence for three season (1997–1999). Providence announced it was cutting the program prior to the 1999 season, but the team won that year's Big East title and advanced to an NCAA Regional final. The Big East Conference Baseball Coach of the Year award is presented annually to the conference's most outstanding coach, as voted by the conference's coaches at the end of each regular season. From 1985 to 2013, the award was sponsored by the old Big East Conference. Since 2014, it has been sponsored by the new Big East. The 2014–15 Seton Hall Pirates men's basketball team represented Seton Hall University during the 2014–15 NCAA Division I men's basketball season. The Pirates, led by fifth year head coach Kevin Willard, played its home games in Newark, New Jersey at the Prudential Center and were members of the Big East Conference. They finished the season 16–15, 6–12 in Big East play to finish in a tie for seventh place. They lost in the first round of the Big East Tournament to Marquette. The 2014–15 Seton Hall Pirates women's basketball team represented Seton Hall University during the 2014–15 NCAA Division I women's basketball season. The Pirates, led by second head coach Anthony Bozella, played its home games in Newark, New Jersey at the Walsh Gymnasium and were members of the Big East Conference. They finished the season 28–6, 15–3 in Big East to share the Big East regular season title with DePaul. They advanced to the championship game of the Big East Women's Tournament where they lost to DePaul. They received an at-large bid of the NCAA Women's Basketball Tournament where they lost to Rutgers in the first round. With 28 wins in the regular season, the most wins in school history. The 2015–16 Seton Hall Pirates women's basketball team represent Seton Hall University during the 2015–16 NCAA Division I women's basketball season. The Pirates, led by third head coach Anthony Bozzella, play their home games in Newark, New Jersey at the Walsh Gymnasium and are members of the Big East Conference. They finished the season 23–9, 12–6 in Big East play to finish in a tie for second place. They advanced to the semifinals of the Big East Women's Tournament where they lost to Creighton. They received an at-large bid of the NCAA Women's Basketball Tournament where they lost to Duquesne in the first round. The 2016–17 Seton Hall Pirates women's basketball team represented Seton Hall University during the 2016–17 NCAA Division I women's basketball season. The Pirates, led by fourth head coach Anthony Bozzella, played their home games in South Orange, New Jersey at the Walsh Gymnasium and were members of the Big East Conference. They finished the season 12–19, 4–14 in Big East play to finish in a tie for seventh place. They advanced to the quarterfinals of the Big East Women's Tournament where they lost to DePaul. The 2017–18 Seton Hall Pirates men's basketball team represented Seton Hall University in the 2017–18 NCAA Division I men's basketball season. They were led by eighth-year head coach Kevin Willard. The Pirates played their home games at the Prudential Center in Newark, New Jersey and Walsh Gymnasium in South Orange, New Jersey as members of the Big East Conference. They finished the season 22–12, 10–8 in Big East play to finish in a three-way tie for third place. In the Big East Tournament, they lost to Butler in the quarterfinals. They received an at-large bid to the NCAA Tournament as the No. 8 seed in the Midwest region. There they defeated NC State in the First Round before losing to Kansas in the Second Round. The 2018–19 Seton Hall Pirates women's basketball team represented Seton Hall University during the 2018–19 NCAA Division I women's basketball season. The Pirates, led by sixth year head coach Anthony Bozzella, played their home games in South Orange, New Jersey at the Walsh Gymnasium as members of the Big East Conference. They finished the season 15–16, 7–11 in Big East play to finish in a tie for eighth place. They lost in the first round of the Big East Women's Tournament to St. John's. They received an at-large bid if the WNIT where they lost to Toledo in the first round. 1 2 3 4 "Mike Sheppard". SHUPirates.com. Seton Hall Athletic Communications. Archived from the original on July 19, 2014. Retrieved July 19, 2014. 1 2 3 Rose, Chuck (March 18, 2002). "Jersey's Cardiac Coaches Choose Disciplined Paths". BaseballAmerica.com. Archived from the original on July 6, 2014. Retrieved July 6, 2014. 1 2 3 4 "2014 Seton Hall Baseball Record Book". Seton Hall Athletic Communications. Archived from the original on July 19, 2014. Retrieved July 19, 2014. 1 2 3 4 "2014 NCAA Division I Baseball Championship Record Book" (PDF). NCAA.org. Archived from the original (PDF) on July 12, 2014. Retrieved July 12, 2014. 1 2 3 "MLB Amateur Draft Picks Who Came from "Seton Hall University (South Orange, NJ)"". Baseball-Reference.com. Archived from the original on July 19, 2014. Retrieved July 19, 2014. 1 2 3 "2013 Big East Conference Baseball Media Guide". BigEast.org. Big East Conference. Archived from the original on June 15, 2013. Retrieved June 15, 2013. ↑ "Casey Grimm Contributing to Seton Hall Success". NewJerseyHills.com. Morristown Resident. June 8, 2001. Archived from the original on July 19, 2014. Retrieved July 19, 2014. ↑ Politi, Steve (March 16, 2003). "Coach's Style Spurs Exodus at Seton Hall: Players Quit Baseball in Droves". The Star-Ledger. Archived from the original on July 19, 2014. Retrieved July 19, 2014. ↑ Hague, Jim (August 22, 2003). "Scoreboard: Resignation of Sheppard Hits Close to Home". HudsonReporter.com. Archived from the original on July 19, 2014. Retrieved July 19, 2014. ↑ Barmakian, Ed. "Sheppard Out as Coach: Health Issues Cited, But Controversy Apparent Factor in Ending Reign". NJ.com. Archived from the original on July 19, 2014. Retrieved July 19, 2014. ↑ Behre, Bob (April 30, 2012). "Mike Sheppard Jr.'s 600th a Father and Son Affair". NJ.com. Archived from the original on July 19, 2014. Retrieved July 19, 2014. ↑ "Past Inductees" (PDF). NewarkAthleticHallOfFame.org. Archived from the original (PDF) on July 19, 2014. Retrieved July 19, 2014. ↑ Rowe, John (January 18, 2011). "Mike Sheppard Sr. Inducted". NorthJersey.com. Archived from the original on July 19, 2014. Retrieved July 19, 2014. ↑ Valenti, Stephen (April 26, 2012). "Ivy Hill Park Field Renamed Sheppard Field After Former SHU Coach". TheAlternativePress.com. Archived from the original on July 19, 2014. Retrieved July 19, 2014. ↑ "Mike Sheppard, Sr. Field: Home of Seton Hall Softball". SHUPirates.com. Seton Hall Athletic Communications. Archived from the original on July 19, 2014. Retrieved July 19, 2014. ↑ Sargeant, Keith (2019-04-07). "Seton Hall baseball legend Mike Sheppard Sr. dead at 82". nj.com. Retrieved 2019-04-08.